Common A/C Problems in Colorado & How to Solve Them | Quinnair Heating & Air Conditioning Inc.
How to Solve Common A/C Problems in Colorado? Home / Blog / How to Solve Common A/C Problems in Colorado? During summer, air conditioning in Colorado is a part of daily life, with most of us running our systems around the clock. This can put our units under a lot of strain, making it fail, leaving us hot and frustrated at the height of the summer heat. Worry not! 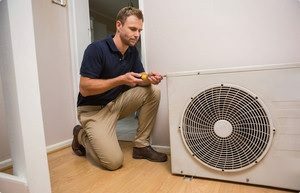 If your air conditioning is starting to fail, we have put together a basic troubleshooting guide to help you fix some of the most common problems with an air conditioning unit. You will be surprised at how simple the solution to this problem can be. Most of the times when the unit won’t turn on is because it is unplugged, or the thermostat has run out of batteries. If all the above is ok, check the A/C circuit breaker. You might need to flip it to the “on” position. If these solutions don’t work, contact an HVAC expert. This is usually associated with a refrigerant problem or lack of maintenance. Change the filter if you have not done it in a long time. Also, inspect your unit to locate possible leaks. You can tell if the refrigerant levels are low by checking the larger of the two copper lines that go into the condenser. 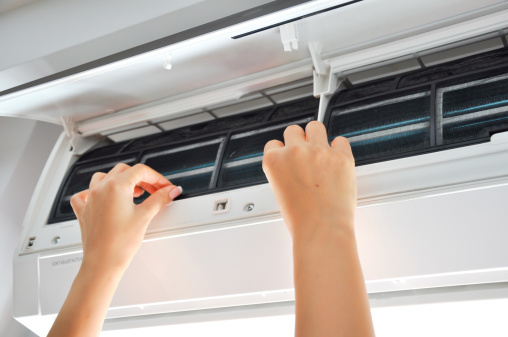 When the unit has sufficient refrigerant levels, the line will sweat and feel cold to the touch. If you find leaks or notice lower levels of refrigerant, have a local HVAC technician to repair the leak and add a new refrigerant. The location of the leak will affect the cost of the repair so having this examined yearly by a professional is advised. Clogged filters are the culprit of air not flowing properly. If after changing the filter the problem persists, check if the grilles or vents are closed off in under-used rooms. Open them to make air circulate better. My dog chewed through the A/C wiring! You can prevent this from happening by building a cage or a fence around the unit. If your buddy has already ”eaten” the wiring, contact HVAC experts from Quinnair to schedule a repair. All the above problems can easily be avoided before breakdowns occur by investing in regular maintenance. Should you need help with your air conditioning unit in Colorado, do not hesitate to contact Quinnair. We are a Heating & Cooling provider, servicing the Lakewood and surrounding areas since 2005.